Section 2 – Association Offices: The home office of the Association shall be in Washington, D.C. The organization may have such other offices as the affairs of the Association may from time to time require, and as shall be determined by the Board of Directors (“Board”). 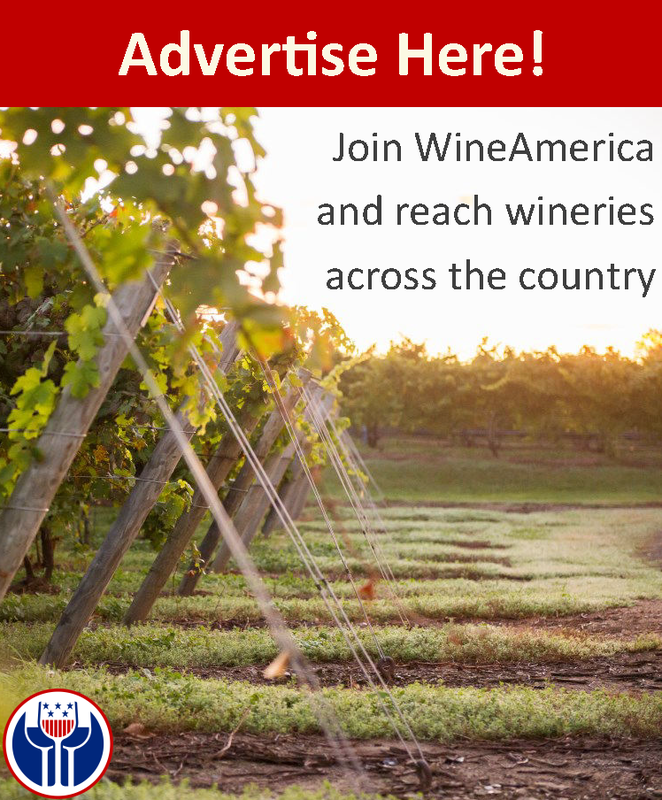 Section 1 – Statement of Purposes: The Mission of WineAmerica is to encourage the dynamic growth and development of American wineries and winegrowing through the advancement and advocacy of sound public policy. Pursue other activities as support the mission of the Association. Section 1 – Corporate Seal: The corporate seal shall be in such form as may be approved from time to time by the Board. The seal may be used by causing it or a facsimile thereof to be impressed or affixed or in any other manner reproduced. Section 1 – Qualifications: Membership in the Association shall be limited to persons, firms, partnerships, and corporations as set forth in Article IV, Section 2.Section 2 – Membership Classification: There shall be four classifications of membership. D. Class 4: Consumer Members – Individuals interested in the development of the wine industry. Section 3 – Other Classes of Memberships: The Board may establish other classes of membership for persons, firms, partnerships, corporations or associations interested in the development of the wine industry. Section 4 – Membership Application: A qualified member shall submit an application for membership to the Association in a manner specified by the Association. Section 5 – Representatives: Each member shall appoint and certify in writing to the home office of the Association a representative and when necessary, may in like manner, appoint an alternate for its representative and such representative or alternate representative may be changed at any time by written notice thereof from the member appointing the same to the home office. The representative or alternate representative of a member shall be fully empowered to represent, vote and act for such member in general membership meetings, and in all proceedings and activities of the Association in which members are invited to participate, and all actions taken by such representative or alternate representative of a member shall constitute and be the action of such member. The appointment by a member of a representative or alternate representative of the member may serve on committees or take part in discussions or activities of the Association when requested by the Board or an officer of the Association. Section 6 – Resignations: A member may resign from the Association at any time by contacting Association staff. Members paying annual dues in excess of $5,000 shall submit their resignation in writing addressed to the Board. The resignation of such member shall not relieve them of the obligation to pay any dues, assessments or other charges accrued and unpaid prior to the effective date of the resignation. Such resignation shall become effective twelve (12) months following the date on which such resignation was filed with dues assessed at the level the Member paid prior to its resignation. D. No refunds of any kind shall be made to members suspended, expelled, or terminated. Section 8 – Appeal: Any member who has been censored, fined, suspended, expelled or had his membership terminated, may appeal in writing to the Board for a hearing on the case. The Board may act upon the written appeal, or may, if it desires, hold a hearing concerning the written appeal; and when the Board has made its determination, such action by a majority of the Board becomes final. Section 9 – Honorary Membership: The Board may establish honorary membership to any individual who has rendered distinguished service to the Association or to the American wine industry. Such honorary membership may be bestowed by two-thirds vote of the Board present and voting. Honorary members shall not be assessed or required to pay dues or assessments and shall have no vote. The election of an individual to honorary membership shall not, however, deprive any eligible individual, partnership, association, company, or corporation with which such individual may be employed or otherwise connected, of membership in the Association and the privilege thereof or relieve it from the obligations and responsibilities of such membership. Section 10 – Voting: Only Class 1 members shall be entitled to vote on Association business and each shall have one vote. Section 1 – Fee and Dues: The Board shall approve a dues schedule for all classes of membership and initiation fee, if any, to be paid by applicants for membership. Section 2 – Multiple Company Ownership: Members that have the same parent ownership but separate company identity may apply for multiple member dues assessment. In such cases, the dues for each qualifying member will be computed as determined by the established dues schedule. Section 3 – Special Assessments: The Board may assess the members for extraordinary expenses, in addition to dues. Section 4 – Dues Invoicing: Each member shall be invoiced for annual dues in a timely manner. Section 1 – Authority of the Board of Directors: The establishment of policies for the governance and management of this Association shall be vested in the Board. It shall be the duty of the Board to assure that the objectives and purposes of the Association are carried out and to this end the Board may exercise all powers of the Association expressed and implied. Section 2 – Number of Directors: The number of Directors shall be no more than 17. The Board shall represent nine regions along geographical boundaries. The United States shall be divided to reflect, as possible, an equal number of wine permittees, allowing balances representation in each region other than California. Each region shall have one (1) seat, except for California which shall have two (2) seats. In addition to the regional positions, not more than seven (7) Directors shall be elected at-large. One At-Large position shall be reserved for the Chairman of the State and Regional Association Advisory Council (SRAAC), who shall additionally serve on the Executive Committee. Additionally, a member of the SRAAC, who is not a winery, may serve as an At-Large Director if a majority of the Board nominates the SAC member for the ballot. The immediate past Chair of the Board shall hold an At-Large seat. Section 3 – Term of Office: The terms of office of elected Directors shall be for a period of three years. One-third of the directorship shall be elected each year. Should a Director not be able to complete his term, the vacancy shall be filled for the unexpired term in accordance with section 10 of this article. Section 4 – Election: The election of Directors shall be held by vote, in a form established by the Board, prior to the annual meeting. Nominees receiving the largest number of votes in contested elections shall be declared elected. Each member will vote for Director(s) at-large and for Director of the region in which they belong, in accordance with provisions of these By-Laws and such procedures as are determined by the Board. No member may be both a regional and at-large Director. If a member is elected to both in the same election, the regional directorship will take precedence, and the next highest vote-getter who is not also a regional Director shall be elected Director-at-large. Section 5 – Nomination of Directors: At least 90 days prior to the annual meeting the Chairman shall appoint a nominating committee, which will consist of not less than three representatives, not more than one of who shall be a member of the Board. The committee shall propose nominees to stand for election to the Board. All nominees will have agreed to serve if elected. To the extent practicable, the committee shall nominate so that the Board will consist of representation based on size and geographical locations of members throughout the United States. At least 45 days prior to the annual meeting, the nominating committee shall forward to the home office their list of nominees for Directors. At least 30 days prior to the annual election, the home office shall report such information to all members eligible to vote by providing a ballot which shall include the opportunity for each member to write in candidates. The ballots shall be returned by mail or electronically, provided it is postmarked or electronically verified no later than 15 days prior to the annual meeting. The results of the election shall be announced at the annual meeting and in the following WineAmerica newsletter. For the purposes of these By-Laws, mail shall mean traditional postal service, overnight carrier, or electronic means (via either facsimile transmission or electronic mail). Section 6 – Meeting of Directors: The Board shall hold one annual meeting during each fiscal year of the Association. At the annual meeting, the installation of the Board shall be held. Such regular meetings shall be held at such time and place as shall be determined by the Chairman. Special meetings may be called by the Chairman, or by any four other members of the Board, provided that, notice of such special meeting shall be provided to each Director not less than fifteen days before the meeting and shall state the purpose of the meeting. Notice may be waived for any meeting by the Board by two-thirds of the members thereof. The Chairman shall designate the time and place for holding Board meetings. The Chairman may call a meeting of the Board at any time during or immediately after a meeting of the Association. Meetings of the Board may be in person or by telephone conference call. Members may attend meetings of the Board. Section 7 – Quorum and Voting of Directors: At each meeting of the Board, a one-third of the members of the Board in person or by proxy shall constitute a quorum and a majority vote of those present shall be necessary for any official action. Directors participating by telephone conference call shall be considered present for quorum in voting. (For information on proxies, refer to Article XI, section 6). Section 8 – Removal of Directors: Upon the absence of an elected Director from three consecutive regular meetings of the Board or for other due cause, the remaining members of the entire Board may, in their discretion, by 2/3 vote of the entire Board, remove such elected Director as a member of the Board and may thereafter fill the resulting vacancy on the Board as provided in the following section of this Article. Section 9 – Waiver of Requirement of Assembly: Any action required or permitted to be taken at any meeting of the Board, or any committee thereof, may be taken without a meeting, or by mail, if written consent thereto is signed by 2/3 members of the Board, or of such committee, as the case may be and such written consent is filed with the minutes of proceedings of the Board or such committee. Section 10 –Board of Directors Opening: An opening on the Board shall be deemed to exist in the case of death, resignation, or removal of any Director or for any other cause specified in these By-Laws. Openings may be filled by action of a majority of the Board or by a majority of Directors voting at a duly called meeting of the Board. The opening being filled should be by a member from the same region, if a regional director. Director(s) appointed pursuant to this section shall hold office for the remainder of the unexpired term which they have been appointed to fill. Section 11 – Notices: All notices of meetings of the Board may be made by mail or electronic mail. Section 1 – Election of Officers and Terms of Office: The membership shall elect a Chairman and Vice-Chairman. Each member shall have one vote. The nominations for Chairman and Vice Chairman shall be made by the Board and each position may be contested. Only current Board members are eligible to be nominated. The Board shall appoint a Board member to serve as Secretary/Treasurer. The Board shall employ a President, whose term and conditions of employment shall be specified by the Board. Section 2 – Duties of the Chairman: The Chairman shall preside at all meetings of the Association and all meetings of the Board. During the absence or temporary incapacity of the Chairman, the Vice- Chairman shall perform the duties and have the powers of the Chairman. In the event of the death or resignation of the Chairman, the Vice-Chairman shall perform the duties and have the power of the Chairman until next regularly scheduled election of officers. If neither the Chairman nor the Vice Chairman is present at a meeting of the Board, or are unable to perform the duties of Chairman, a majority of the Board or a majority of Director’s voting at a duly called meeting of the Board may appoint an Acting Chairman who shall perform the duties and have the powers of the Chairman until the Chairman or Vice Chairman resume the duties of Chairman, or, as appropriate, until the next regularly scheduled election of officers. Section 3 – Duties of the Secretary/Treasurer: The Secretary/Treasurer shall oversee the Association’s funds and records, the collection of members dues, the establishment of proper accounting procedures for the handling of the Association’s funds, the performance of an annual review or audit, as the Board determines, by a certified public accountant, and shall report on the financial condition of the Association at all meetings of the Board and at other times as called upon by the Chairman of the Board. Such duties of the Secretary/Treasurer as may be specified by the Board may be delegated to the President of the Association. Section 4 – Duties of the President: The President shall be the chief executive officer of the Corporation. The President shall see that orders and resolutions of the Board are carried into effect. Subject to the direction of the Board, the President shall have general charge of the business, affairs and property of the Directors and general supervision over its officers and agents. The President may sign and execute in the name of the Corporation deeds, mortgages, contracts, or other agreements necessary to the daily functioning of the organization. The President shall employ and may terminate the employment of members of the staff necessary to carry on work of the Association and fix their compensation within the approved budget. The President shall define the duties of the staff, supervise their performance, establish their titles, and delegate those responsibilities of management as shall be in the best interest of the Association. The President shall report to the Board all matters that are required to be brought to their attention. The President shall serve without vote as an ex-officio member of the Executive Committee and Board. Section 5 – Indemnification: Every Director, officer, or employee of the Association shall be indemnified by the Association against all expenses and liabilities, including counsel fees reasonably incurred or imposed upon him/her in connection with any proceeding to which he/she may be made a party, or in which he/she may become involved, and any settlement thereof by reason of his/her being or having been a Director, officer or employee at the time such expenses are incurred, except in such cases wherein the Director, officer or employee is adjudged by a court to have been willfully misfeasant or malfeasant in the performance of his duties. Such settlement and/or reimbursement shall be paid as soon as possible, but not later than 90 days after the Director, officer, or employee liability becomes final. The Association shall maintain Director and Officer insurance to provide coverage against the expenses and liabilities that might be incurred by each officer and Director of the Association. Section 1 – Rights of Proprietorship: The interest in the funds, property and other assets of the Association of every member whose membership shall terminate for any reason except the dissolution of the Association shall ipso facto immediately cease and such member shall have no claim against the Association or against the other members. Section 2 – Dissolution of the Association: In case of dissolution of the Association, funds, property, and other assets, if any, remaining after paying or providing for the payments of all liabilities, obligations, and expenses of the Association shall be used to promote the interests of American wineries as shall be determined by a court of competent jurisdiction in a proceeding to make that determination in accordance with the provisions of applicable law. In no event shall any asset inure to the benefit of any member or members of the Association. Section 1 – Executive Committee: The Chair shall, with the approval of the Board, appoint an Executive Committee which may act in the place and stead of the Board between Board meetings on all matter, except those specifically reserved to the Board by these By-Laws. The Committee shall oversee the financial affairs of the Association. Actions of the Committee shall be reported to the Board by mail, via electronic mail or at the next meeting of the Board. The Executive Committee shall consist of the following Directors: The current Chair of the Board, the immediate past Chair of the Board, the Vice Chair of the Board, The Treasurer of the Association and the current State and Regional Associations Advisory Council Chair. A majority of the Executive Committee shall constitute a quorum. The Executive Committee shall meet at the call of the Chair. Board Members not on the Executive Committee may attend Executive Committee meetings if a majority of the Executive Committee members agree. Board Members may be excused from any discussions if a majority of the Executive Committee members agree. Board Members who are not on the Executive Committee may not vote at Executive Committee meetings. Section 2 – Special & Standing Committees: The Chairman shall determine what standing or special committees are necessary and shall appoint such committees and their Chairmen; Chairmen of standing committees must be Directors. The Chairman shall have the power to dissolve such committees at his or her discretion. Section 1 – Powers of Board of Directors: The Board shall have power to alter boundaries of existing regions of the Association. Other changes in regions must be effected through By-Law amendment. Such changes shall be of no force or effect unless and until ratified by the membership. Section 2 – Purpose and Qualifications of Regions: The purpose of regions is to provide representation in accordance with the viticultural and/or geographical similarities of members as well as for convenience of assembly. All states shall belong to a region. States other than California, Oregon, Washington and New York shall be assigned to one of five multistate regions based on geographic considerations and in a fashion that promotes a reasonable equality of membership among these regions. Section 1 – Annual Meeting: The annual meeting of the Association for installation of officers, Directors and other such matters shall be held at such a place and on such dates as may be determined by the Board. Section 2 – Special Meetings: Special meetings of the Association may be called by the Chairman at the request of the majority of the Board or at the written request of twelve members of the Association. Requested meetings shall be held within 30 days of receipt of the written request. Section 3 – Membership Quorum: The Board shall function on behalf of the membership as their duly elected officers in all aspects of Association affairs, except in matters of Board of Director elections, By- Law amendments, and special situations as determined by the Board. In the event of membership voting, one-fifth of the Class 1 members of the Association present in person or by proxy shall constitute a quorum at any meeting of the Association. The Board, in their discretion, may require a greater percentage than one-fifth be necessary to constitute a quorum for any meeting provided notice to that effect is given to the membership. In absence of a quorum at the meeting, membership shall vote by mail. Section 4 – Membership Representation at Meetings: Members may be accompanied at any meeting by as many individuals as they desire. A member’s voting rights may be exercised only by his or its representative, alternate representative duly appointed and acting in accordance with these By-Laws or by a validly executed proxy. Section 5 – Voting: Only Class I members shall be entitled to vote and each shall have one vote. Section 6 – Proxies: Members of the Association may vote in person or by a validly executed proxy. A proxy may only be vested by a member of the Association in the form of an officer or director of the Association, or the duly appointed representative of another member of the Association. Only proxies presented in the form approved by the Board may be exercised. No proxy shall be voted on or after one year from its date, unless such proxy provides for a longer period. Section 7 – Adjourned Meetings – Voting By Mail: If a quorum is not present or represented at any meeting of the members of the Association, the Chairman may call for a vote to adjourn such meeting to another time and/or place, without notice other than announcement at the meeting, until a quorum shall be presented or represented. Notwithstanding the foregoing, if a meeting is adjourned for lack of a quorum, the Board may, in lieu of convening any subsequent meeting, provide the members the ability to vote by mail on all matters which were to be presented before the members at the adjourned meeting. Any business may be transacted by such mail voting which might have been transacted at the original meeting, provided votes are received from a number of members which, if present in person or by proxy at a convened meeting, would constitute a quorum. Section 8 – Order of Business: The order of business of any annual meeting of the Association shall be determined by the Chairman of the Board. Section 9 – Rules of Order: At all meetings of the Association, of the Board, or any of its committees, Roberts Rules of Order shall govern in any question of parliamentary procedure. Section 10 – Notice Requirement: All notices permitted or required under these By-Laws to be given to any member of the Association, unless otherwise specifically provided for, shall be sufficient if sent by mail or electronic mail in the discretion of the Secretary of the Association, addressed to such member at the address of such member as set forth on the books of the Association. Al1 notices to any officer or Director of the Association shall be sufficient if sent by mail or via electronic mail, addressed to such Director or officer in care of the member of the Association with which they are connected. Any notice permitted or required under these By-Laws to be given to the Association shall be sufficient if sent by mail or electronic mail, addressed to the Association at its principal office. Section 11 – Fiscal Year: The fiscal year of the Association, unless otherwise determined by the Board, shall be from January 1 to December 31. Section 1 – Process: Amendments to these By-Laws may be proposed at any meeting of the membership or by the Board. A ballot shall be mailed to each member who shall vote by the time specified in the ballot and return it to the corporation. A minimum of 30 days must be provided in which members may return their ballots. Such amendments of the By-Laws shall become effective when a majority of one- fifth of the voting power of membership have assented by mail ballot.